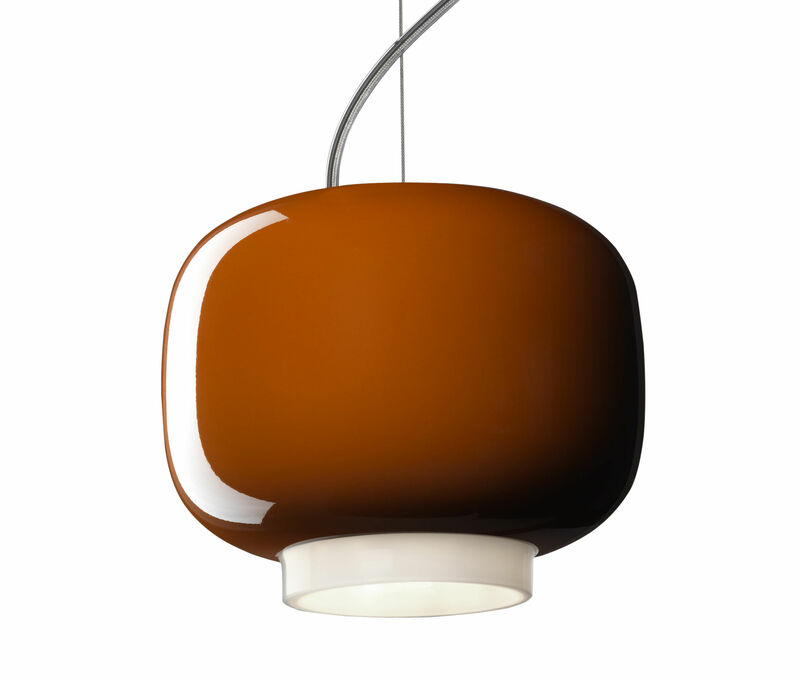 Chouchin is the name of oriental paper and bamboo lanterns, that have inspired a family of contemporary lamps, where the fine appeal of blown glass, the charm of colour, the magic of light and the possibility of creating different shaped compositions merge to create emotions that are both familiar and unprecedented at the same time. The "Mini" version enlarges the project Chouchin to offer further composition and placement possibilities. 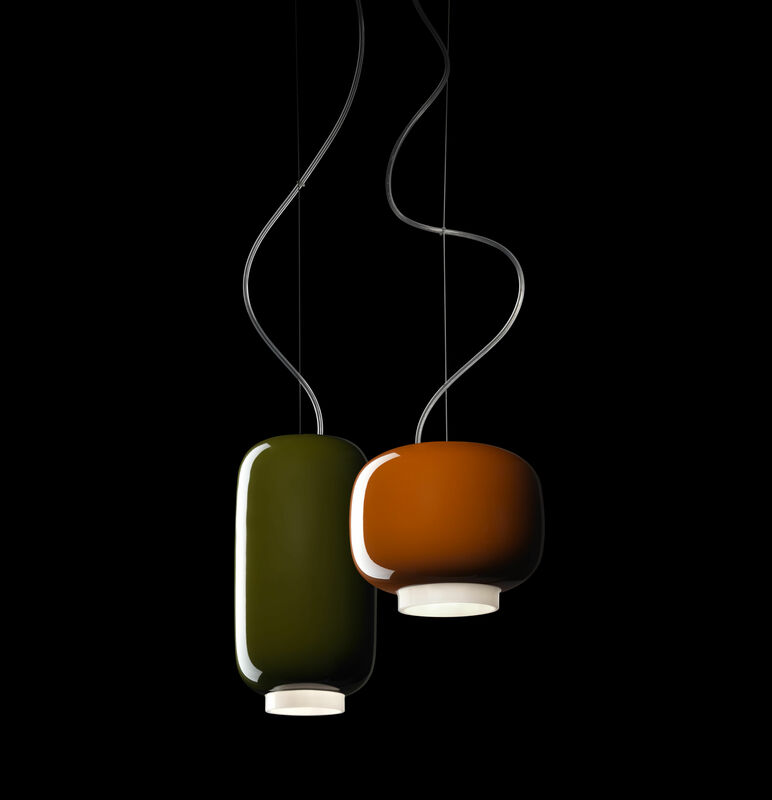 The diffuser is available in two shapes and in two complementary colours: orange and green. 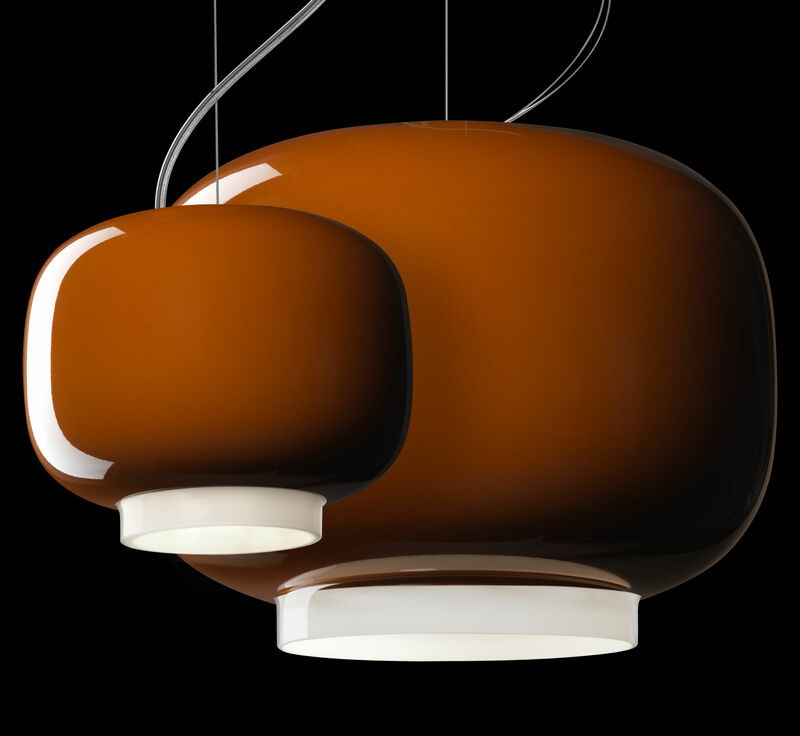 As in the larger version, the lower rim remains white, to create a distinguishing graphic mark when the lamp is switched off and an incandescent luminous border when it is on. 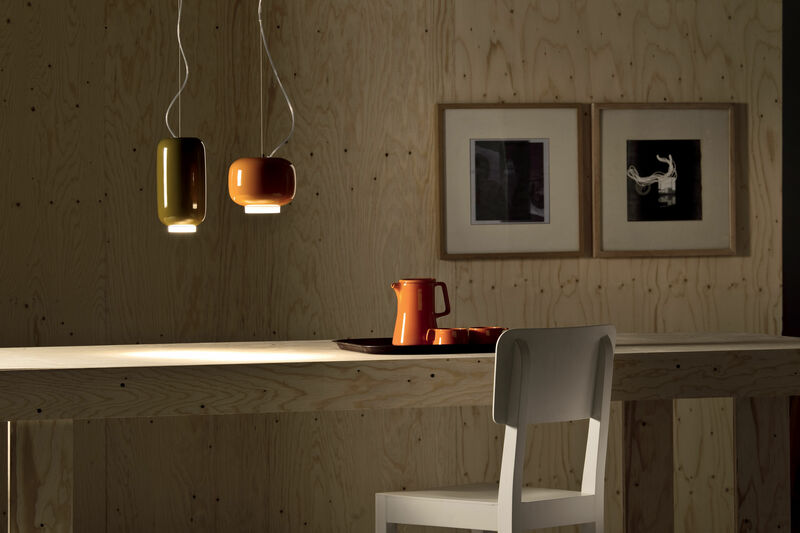 Chouchin Mini is designed for use alone, as a small and poetic suspended lantern, or in rows or groups, even teamed with the larger model, to light a table, a bar or a counter with a concentrated down-light. The small size underscores its personality as an accent light, clad with unadorned elegance which makes it all the more precious. It is also available in a version with Led light, which is especially suited to contract settings thanks to its energy efficiency and long life characteristics.